^No it's not the same thing - we are offering the custom bracket and all the parts needed for installation including wiring as options. but thanks for pointing us to that, never saw that thread before. sorry for being off topic, but what kind of rear view mirror is that? Proof That from that far back the detector gets better range and reception? Even with a hardtop? That seems a little sketchy mounted that far back. 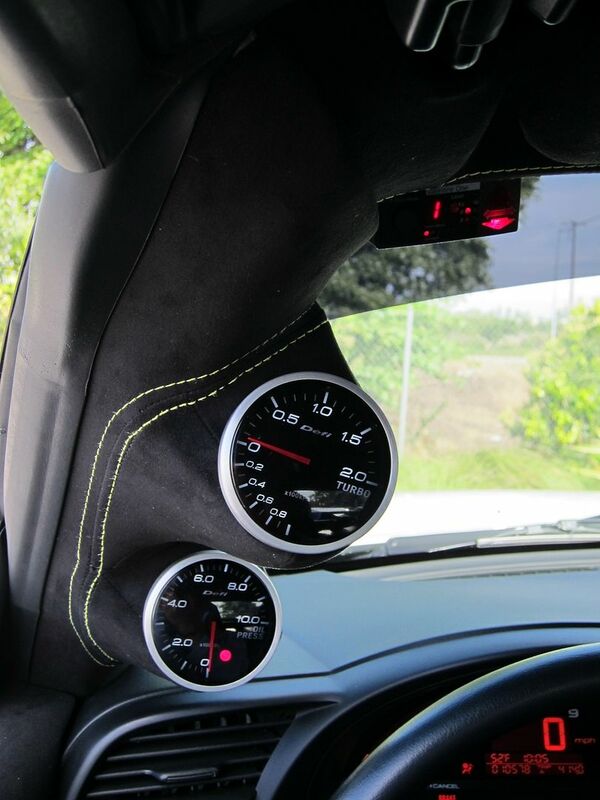 Let me first say that we've installed this setup in tons of local s2000 member cars and we all swear that it works perfectly on I5 (flat open highway between norcal and socal). I've tested this on my personal s2000 and no problems. As with any radar detector the MOST IMPORTANT tool is not the radar itself but rather the driver. If you are going ridiculous triple digit speeds nothing will save you. The V1 is the best radar out on the market but even this won't help if you are spotted by air patrols. My point is the radar detector mount and position is the best it's going to be. Signals pass through plastic with no problems and even V1 ssays make sure you have a clear line of sight and this unit mounted on the shelf can clearly see the road front and back. We did make a simple test, we used an infared source and fired it from 20 feet in front and back of the car - radar picsk it up immediately so again this just proves our day to day usage that this works just fine. There was a few questions on how you can see the radar display if it's mounted on the rear? We use a V1 remote display that is conveniently mounted on the B-pillar using a custom bracket we supply. When plugged in, it automatically turns off the display on the main unit and tranfers the messages to the remote unit thus no one else but you can see the display! So when you buy your "system" it comes with the B-pillar bracket and the one that mounts in front of the windscreen? We designed this bracket to be universal meaning you don't necessarily have to use a V1. The price is just for the bracket and mounting hardware + radar attachment parts. If you want the custom B-pillar bracket and V1 remote display we can provide those parts on a per order basis, please PM us.